Congratulations toStudent Leadershipon their successful Red Dress fundraiser for Valentine's Day yesterday!Over $500 was raised for the American Heart Associationand the students enjoyed wearing red and celebrating the holiday. Thank you to our wonderfulSchool Boardfor hosting ourannual State of the School Address last Sunday. Their dedication and commitment to serving our school community is greatly appreciated! Tuition contracts and registration information for the 2017-2018 school year will be sent home by the end of this month. FamiliesMUST be current with tuitionbefore receiving this information. If you are arrear in your tuition payments and have not already contacted Ron LeGaux regarding a payment plan, you will not be able to register for the upcoming school year. Please let me know if you have any questions. Please note,Monday, February 20, is aschool holidayin honor of Presidents' Day and Panther House is also closed. Parents, please remember that per Diocesan rules, final field trip paperwork must be submitted to the office 48 hours in advance of the trip. Therefore,the class teacher must have all paperwork(permission slip, driver's license,car information,and drivers' insurance declarations page)72 hours in advanceof the trip so that car assignments can be finalized.We appreciate your cooperation with submitting all paperwork before the deadline and minimizing last minute driver/chaperone changes. The Christmas Sharing DVDs arrived today!They are for sale $12 cash or check) in the office. Email the office if you'd like one sent home via your student. For your planning purposes, the first day of school for the 2017-2018 year isAugust 21st. Christmas break will beDecember 18thruJanuary 1st, with school resuming onJanuary 2nd. 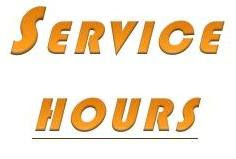 unfulfilled volunteer hours or yard duty shifts will result in a $50 charge per hour/shift. Please remember that you need to be an 'All Clear' volunteer before doing any assignments. Camp Panther Prideis Back!Our beloved teachers, faculty and staff are busy organizing another fun Camp Panther Pride forFriday, April 7. Camp Panther Pride is a variety of activities/events for the students and perhaps an easy "date night" for parents. It's a tradition not to be missed! OurHawaiian Nights Auction/Dinner/Dance is quickly approaching and there are many exciting things to look forward to this year - not only ourbeloved class traditionsandPrincipal's and Father John's Dinners, but many new exciting Sign Me Up Parties and Auction items! Book your sitters, dig out your flip flops and Hawaiian shirts and get ready to support our amazing school!! A huge thank you toMarlies Taylor~ she has stepped up to manage our 2016 - 2017 yearbook! We are inextreme need of additional photos for all classes for our yearbook. Student Leadership will be sellingCREAM Ice Cream Sandwichesat recess onTuesday, February 28. You must submit yourorder formwith payment to the office byThursday, February 23. No extra ice cream sandwiches will be available on 2/28 -PRE-ORDER SALES ONLY. It was a very sweet day for everyone! 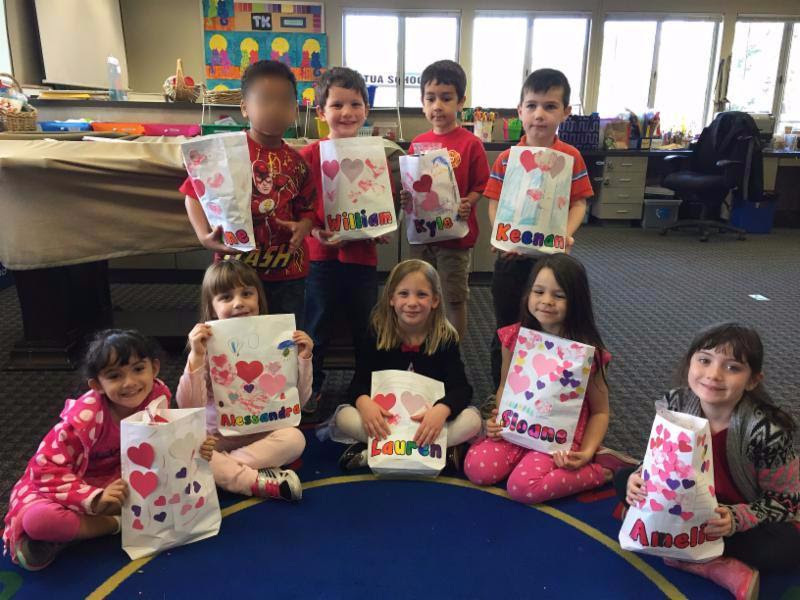 Several classes (including the 7th grade pictured here) sang songs,recited poems and made cards for the Seniors Valentine Lunch.TK had a wonderful time sharing valentines! Our 2017SpellingBeeChampion isMike Kostolanksy from 7th grade! 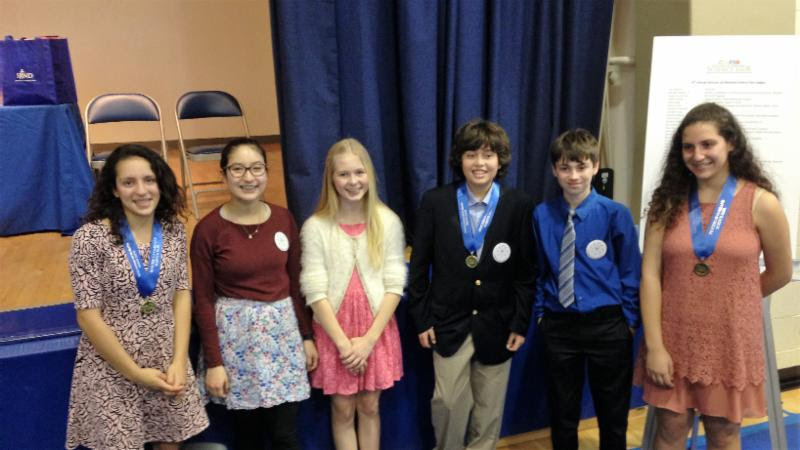 Hewill be representing St. Perpetua at the Contra Costa CountySpellingBeeonSaturday,March 25.Good luck to Mike! 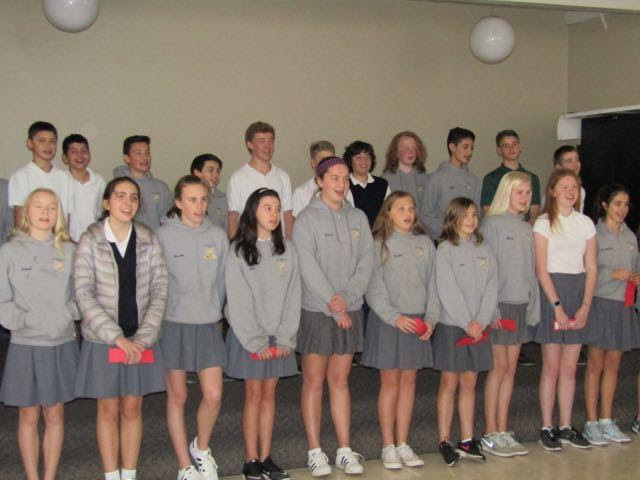 Congratulations to our Diocesean Science Fair participants! Please support yourSt Perpetua Daisy and Brownie Troopsby purchasingGirl Scout Cookiesafter school onMonday, February 27th. We'll bein the Plaza (by the crosswalk) at3pmwith loads of cookies.Sure, they're awesomely delicious, but beyond that sweet treat, Girl Scout Cookies are an incredible opportunity for girls to do extraordinary things.When you support cookie sales,yourdollars help power new, unique, and amazing experiences for allof the awesome girls who sell Girl Scout Cookies!Whether it's a trip she'll never forget, a service project that will change her community forever, or the opportunity to build a lifetime of memories at camp, Girl Scout Cookies help make it happen! Looking for Volunteer Hours ~ We need You! Sharpen your pencils! It's time for students to start writing Young Author books.The Young Author's Faire is a writing competition held in the Catholic Schools Diocese of Oakland.All students in grades 1-8 are encouraged to participate. Students participate by writing an original book with original artwork. Books are bound and submitted to the student's classroom/language arts teacher. Our school will review all books submitted and select the best writing to be sent to the Diocese-wide competition. Judges at the Diocese will read all books submitted and select the best writing to be recognized and rewarded at an Awards Ceremony. Winning students are encouraged to attend the Awards Ceremony where they are given a certificate and scholastic dollars they can spend that day at a Book Faire. If your child wishes to write a book, please look at thislinkon our school websiteor contact Mrs. Hinton atshinton@csdo.orgfor more information. All books are due no later thanMarch 15th. We recommend books are turned in early, so that you have time to fix any errors we catch. Congratulations to our students in 5th, 3rd and 2nd grades for achieving 100% participation in our school-wide reading challenge.Each winning class will celebrate. All students who turned in their Read to Succeed reading log will earn a free ticket to Six Flags Discovery Kingdom,to be used this summer. Tickets usually arrive in May. Good Job Readers! Here are some February enrichment events sponsored by SEEDs! 3rd Grade:Field Trip to Oakland Museum of California - "Plant and Animal Homes"
6th Grade: Field Trip to Chabot Space and Science Center - "Mars Mission"
7th Grade: Cal Shakes In-School-Residency "Midsummer Night's Dream"
If your family needs service hours, this is the place to go. We need snack and plate/paper cup donations for many days in February and March.Sign uphere.Email Mrs. Kenney for paper product needs. You can still order the full roster of Scrip cards with your weeklyonline ordersthrough thewww.shopwithscrip.comwebsite. You can pay by Prestopay, check or credit when you pick up your order.When possible, please help us reduce credit card fees by paying via check. 2016 year end reportswill be coming homenext week. Please contact Sarah directly if you have any questions. Are you an 'All Cleared' Volunteer? As a reminder, youcannot volunteerfor any school or class activities (including yard duty)until your are placed on the "all cleared" list by completing three items for the office.Clickherefor information on LiveScan fingerprinting, Safe Environment Training, and TB Clearance. Each family has received an email to sign up for yard duty shifts onSign-Up Genius. Clickherefor link to Sign-Up Genius. - any additional sign-ups will go towards your family participation hours. If you would like tobe placed on the Yard Duty Sub list, contact the office and your name will be added to the list.You must be an 'All Clear' volunteer to be a substitute. -TheTimely Perpetuanis a monthly e-newsletter that keeps you informed about the many things happening at St. Perpetua. If you don't receive it please visit the Parish websiteand click on "Join Our Mailing List."